However, the move to approve the Wi-Fi-based ‘ITS-G5’ standard ahead of the 5G-based ‘C-V2X’ is controversial. 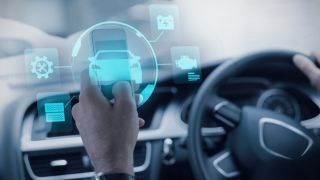 The EU’s view is that Wi-Fi is more readily available and could be used to improve road safety more rapidly than 5G, which will take time to rollout across member states. Mobile operators, equipment manufacturers and car makers are split between the two technologies, as are individual nations. Many fear that a move to approve Wi-Fi ahead of 5G will lead to compatibility issues in the future and want a technologically neutral approach. Mats Granryd, director general of the GSMA, has reportedly written to the European Parliament to argue that Wi-Fi is old technology that won’t make roads any safer. “This Wi-Fi standard was developed over a decade ago for the ITS-G5 framework. Despite being ready for many years, it has seen very little commercial deployment so far,” he is quoted as saying. The proposals have already been rejected by a committee of EU lawmakers and will be voted on in European parliament next week.